This year's Longmire Scientific Day will be held on Friday, March 8, 2019 in the Tamkin Auditorium at the Ronald Reagan UCLA Medical Center. 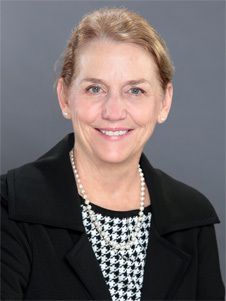 Dr. Barbara Bass is the John F., Jr. and Carolyn Bookout Presidential Distinguished Chair, Department of Surgery, at Houston Methodist Hospital in Texas, and Professor of Surgery at Weill Medical College of Cornell University in New York. She serves as Executive Director, Houston Methodist Institute for Technology, Innovation & Education Houston Methodist. Dr. Bass is a surgical oncologist and has led a funded laboratory program in gastrointestinal epithelial injury and repair. She is the Immediate Past President of the American College of Surgeons. She has held leadership roles in surgical quality initiatives nationally - in the Veteran Affairs Health Care System and at the American College of Surgeons. A recognized leader in surgical education, Dr. Bass completed a 7-year term as a Director and Chair of the American Board of Surgery. Dr. Bass is past president for the Society for Surgery of the Alimentary Tract. She is a graduate of Tufts University and the University of Virginia School of Medicine and completed general surgery training at George Washington University Hospital. She completed a fellowship in gastrointestinal physiology at the Walter Reed Army Institute of Research, while serving as a Captain in the U.S. Army Medical Corps. Dr. Ronald W. Busuttil is Distinguished Professor and Executive Chairman of the UCLA Department of Surgery and serves as founding Chief of the Division of Liver and Pancreas Transplantation. Dr. Busuttil earned his M.D. and Ph.D. degrees at Tulane University. He completed surgical residency training at UCLA under the leadership of Dr. William Longmire and trained in transplantation with Dr. Thomas Starzl at the University of Pittsburgh. In 1984, he founded the Liver Transplant Program and has been the Director and Chief Surgeon for 28 years. It is one of the largest liver transplant centers in the world. Clinical activities encompass the entire spectrum of liver transplantation and hepatobiliary surgery. Dr. Busuttil and his team have performed over 5200 liver transplants, and he is internationally recognized for his expertise in transplantation and liver surgery. Dr. del Nido was the 2017 Longmire Visiting Professor. 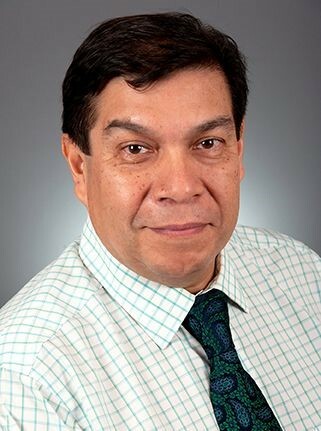 Dr. del Nido graduated with honors in Biochemistry from the University of Wisconsin and received his medical degree at the University of Wisconsin Medical School. He completed his General Surgery residency at Boston University in 1982, and Cardiothoracic Surgery at the University of Toronto in 1985. He then trained as a Pediatric Cardiac Surgeon at The Hospital for Sick Children in Toronto. Dr. Ignazio R. Marino, MD, ScD, was the 2016 Longmire Visiting Professor and the 30th Visiting Professor that the Longmire Surgical Society has hosted. Dr. Marino delivered his keynote address " Transplantation: From the OR to the Eternal City". Dr. Marino is a distinguished liver transplant surgeon and former Mayor of Rome. Dr L.D. Britt. was the 2015 Longmire Visiting Professor. Dr. Britt has had a long and distinguished career and is currently serving as the Henry Ford Professor and Edward J. Brickhouse Chairman of Surgery at the Eastern Virginia Medical School. He is a past-President of the American College of Surgeons and the Southern Surgical Association, and has served on the boards of multiple surgical and research groups. His awards include the prestigious Distinguished Service Medal from the Uniformed Services Universities of Health Science. Dr. Leslie Blumgart served as the 2014 Longmire Visiting Professor. Residents and fellows from multiple divisions presented research abstracts as well as poster presentations. Following the presentations, Dr. Blumgart delivered his keynote address "Art, Social Structure and Surgery in the Victorian Era." In addition to the excellent research session, members and guests attended the Annual Longmire Surgical Society Dinner which was held at the beautiful Casa Del Mar Hotel.